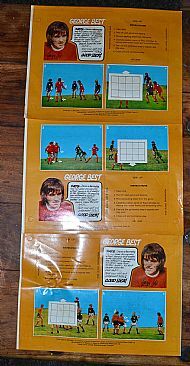 A gambling game made in Ireland in the 1970s and featuring George Best. Quite an ingenious invention - punch out the cirlce you believe to be a winner from the grid, the metal prodder will punch out a small circle of card froma block in the back and it will be a winner or loser. Very clever. George Best endorsed gambling game. Very clever mechanism. 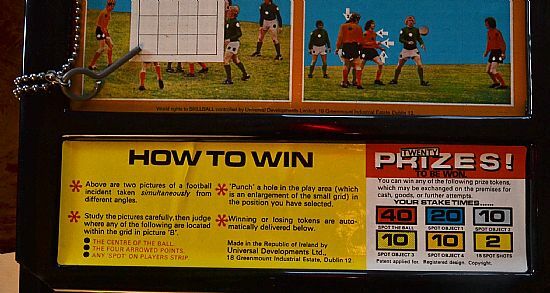 The game comes with four different scenario stickers. Once all four are used you needed to buy new stickers and cartridge. 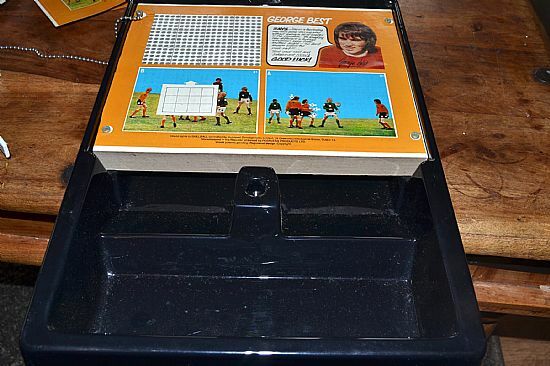 The gameboard is housed in a two part vacuum formed case complete with dispensing slots for the winning or losing tokens. 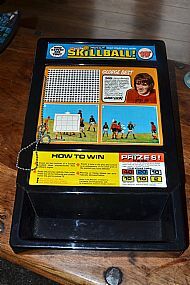 Nice and easy but the tokens released by the metal key when inserted were tiny and I bet many did not fall through the machine correctly. 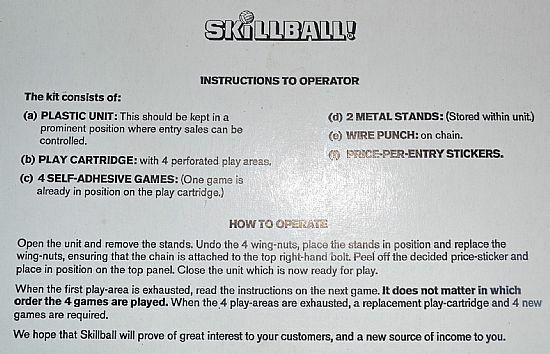 The rules for the operator - pub or club I guess. This was set 21 I wonder what the others were like?